Leadership Training For The Young Men of Huntsville. The Kappa Alpha Psi Fraternity, Inc Huntsville Alumni Chapter Guide Right is a program for the educational and occupational guidance of youth, primarily inspirational and informational in character. Its reach extends to high schools and colleges alike. In the latter, giving due attention to the needs of undergraduate Brothers. Conceived in 1922 by Leon W. Stewart, and suggested at the twelfth Grand Chapter of Kappa Alpha Psi, Guide Right became the fraternity's national service program. Jesse Jerome Peters, later to become the eighth Grand Polemarch, was chairman of the committee, during the administration of W. Ellis Stewart as Grand Polemarch. That insured adoption of the Program as the Fraternity's National Service Project. To afford the less fortunate youths a respite from the drudgery of the streets, through sponsored trips to ball games, zoological garden, museums, theater, and other activities. Each Thanksgiving and Christmas, the brothers of Kappa Alpha Psi, Huntsville Alumni Chapter and the young men of the Huntsville Kappa League shop for less fortunate families in our community. The grocery list features all the ingredients to allow a family to have a traditional holiday meal with plenty of items to make sure there are leftovers to enjoy. It is our goal to be a blessing to those in our community that are often overlooked and underserved. Our chapter has been performing this service for many years and hopes to continue to do so with your support. 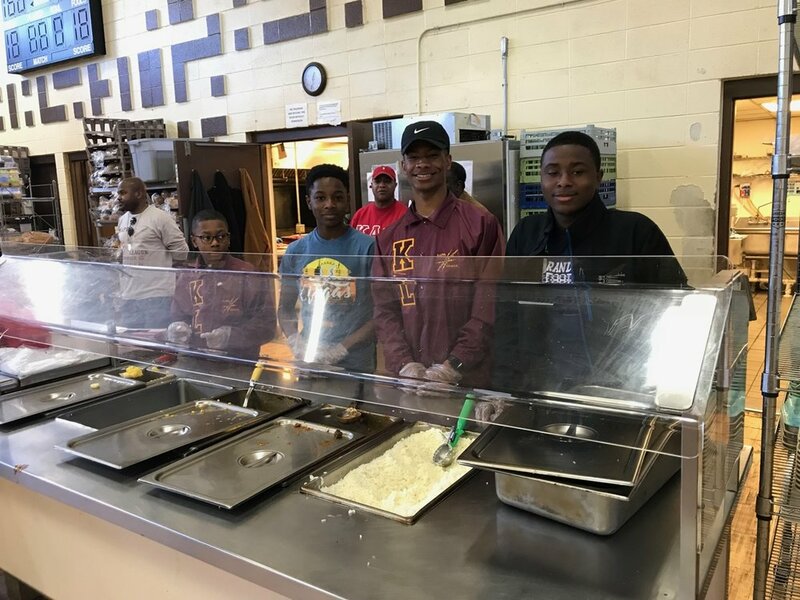 Christmas is a special time and the brothers of Kappa Alpha Psi, Huntsville Alumni Chapter work to support local charities through service. The Nupes donate their time and talent to gift wrap at a local mall and have been doing so for many years. The gift wrapping service allows all monies earned to go directly to the charity in need - who, in turn, serves our commuinty. Our chapter has been performing this service for many years and hopes to continue to do so with your support.